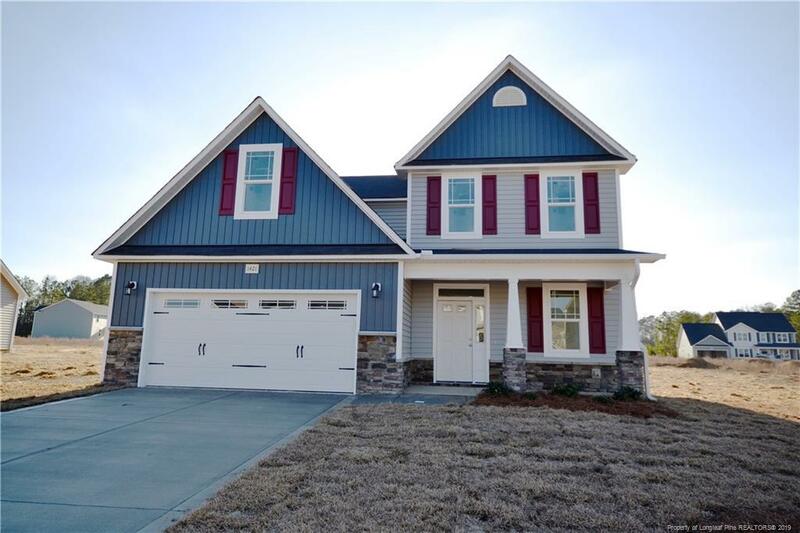 Spectacular new home with a great open floor plan with over 3,000sqft! Huge great rm is open to the kitchen w/granite counters, pantry, island & breakfast nook. Impressive formal dining room & first floor guest suite w/full bath. Upstairs you'll find a huge master suite with a large glamour bath plus 2 extra large separate his & her WIC's. 2 Spacious spare bedroom's & a large open loft/bonus area that would make another family rm for the kids! Minutes to the Hope Mills Rec Center, library & shopping. Hope Mills schools!